Recipes! 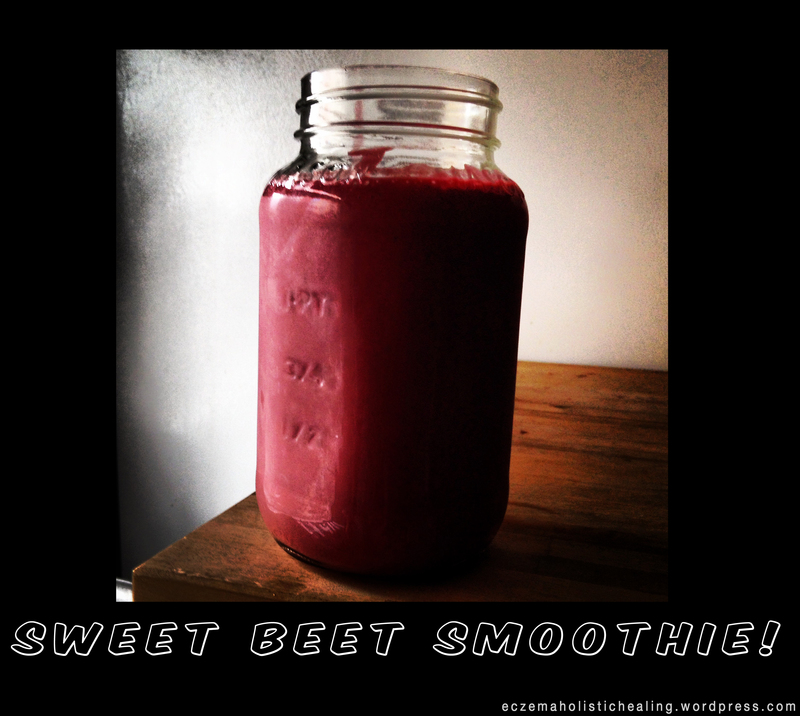 – Sweet Beet Smoothie! I love me some beets! They have this wonderful earthy, naturally sweet flavour. I use them chopped up raw in my daily salads and sometimes make a little tasty slaw out of them with carrots and onions with a marinade of apple cider vinegar, tahini or avocado and fresh herbs. I also love to have them sometimes roasted with carrots, potatoes, onions and garlic with dry herbs and baked on parchment to keep it oil free. It was only until recently that I started using them in my smoothies. They are super fibrous, so when adding them raw to green drinks, I just put a small amount. When they are lightly steamed or boiled, they become even sweeter and the consistency is quite smooth. I love this recipe because it’s so delicious and naturally sweet, you feel like you’re drinking a milkshake for breakfast, but it’s actually healthy for you! Help detoxify and clean the liver and the blood. Contain vitamins and minerals such as: potassium, magnesium, fiber, phosphorus, iron; vitamins A, B & C; beta-carotene, beta-cyanine; folic acid. Contain tryptophan which relaxes the mind and creates a sense of well-being. Vitamin A for skin health which help retain moisture, and fight thickening and wrinkles. It also helps our white blood cells called lymphocytes which count on vitamin A to help fight infection. Vitamin K which helps calcium buildup in our blood vessels and tissues. This vitamin also strengthens our bones. Zeaxanthin and lutein which helps protect our vision. Act like a prebiotic (stimulates the growth of gut friendly bacteria), produce digestive enzymes to help absorb nutrients easier and gently chelates toxins and heavy metals from the body, due to its high pectin content. Are high in potassium, iron, and vitamin B-6 which help the production of white blood cells. Contain high levels of tryptophan just like beets! The almonds, almond milk, bee pollen and hemp seeds give this delicious smoothie a great protein boost and an array of wonderful nutrients! Throw it all in a blender with 1 or 2 cubes of ice and enjoy!! Currently Reading – Food is Your Best Medicine by Henry G. Bieler, M.D.